Learn how to live harmoniously in your daily life and find BALANCE by working with the 4 Elements & the 4 Directions. In this class you will learn what to do when you are feeling UNgrounded, over emotional, angry, or cold-hearted… How to stop the spinning mind or cool chaotic energies. You will learn which of the 4 elements & the 4 directions can help you create harmony out of disharmony. By working daily with the 4 Elements & the 4 Directions it will not only allow you to learn to bring stability in your own life but it will help you bring balance to any life situation. 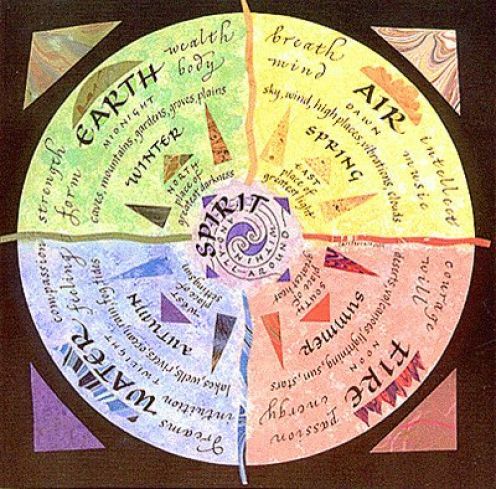 Once you have the knowledge of the 4 elements & 4 directions, their are limitless ways to apply them. These are Native American/Celtic techniques that have been passed down from Grandmother to granddaughter (our teacher Debi Lefaye from the Academy of the Ancient Arts) to student (myself and Evon) and now to you. Taught by Marianne Schneider and Evon Eisenberg. Please call text or e-mail Marianne at 530-448-4220 reikitahoe@gmail.com or Evon at 530-227-237 to register for this class.